Protesters sat on jail beds and wore t-shirts that read, "I am not the property of L.A. County jail." Downtown L.A. looked like an Orange Is The New Black set early this week. 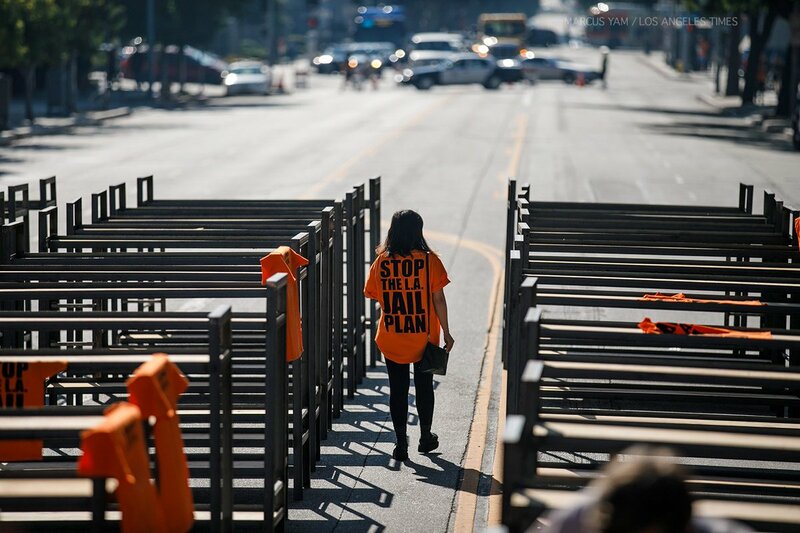 According to the LA Times, anti-incarceration groups set up 100 jail beds outside of the Los Angeles County Hall of Administration. Dozens of protesters sat on the beds wearing wearing t-shirts that read, “I am not the property of L.A. County jail” to speak out against Los Angeles County’s $2 billion plan to expand its jails. The protesters were led by Black Lives Matter co-founder Patrisse Cullors. Cullors is currently heading the “Justice L.A.” movement, which calls on county leaders to redirect the $2 billion — which has been earmarked for use in replacing the Men’s Central Jail in downtown LA and the Mira Loma Detention Center in Lancaster — towards programs that help the community. "These beds represent trauma, torture, isolation, shame and death," said protester Jayda Rasberry. Part of the protesters' anger comes from the fact that the money for the jail expansion was added at the last minute to a motion that created a county office to help those suffering from mental illness. Protesters also worry that although the county promises that it will only spend $2 billion, that by the time contractors are paid, the cost will be more like $3.5 billion. “We can find $3.5 billion for jails, but we can't find money for schools. We can find money for Olympics, but we can't find money for parks," Black Lives Matter L.A. member Greg Akili said. "If you got $3.5 billion, invest it in the people." Another issue is the fact that recent policing reforms are expected to decrease the prison population. 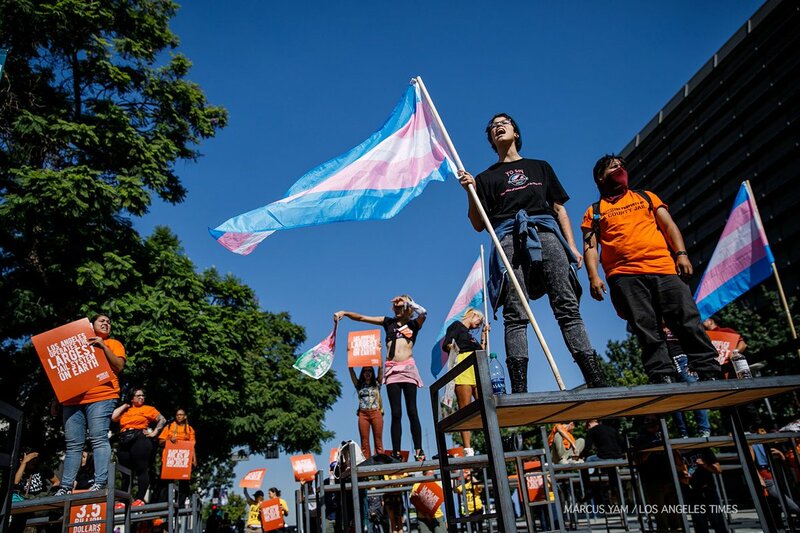 These reforms are new, so it isn't clear if they have been successful in reducing the number of citizens arrested and jailed, but the protesters want to know why the county is adding thousands of beds that will go empty, should the reforms work as hoped. “We don’t know what our projected prison population will be in the next 10 years. What we should be doing is getting a clear understanding of who’s in our jails,” Cullors said. The BLM founder also noted that many of the county's prisons are full of people with mental illnesses, women who commit “crimes of survival” and people awaiting trial. There have been two challenges to the plan to build the new jails so far, and both have failed. Still, the protesters aren't planning to stop their fight. 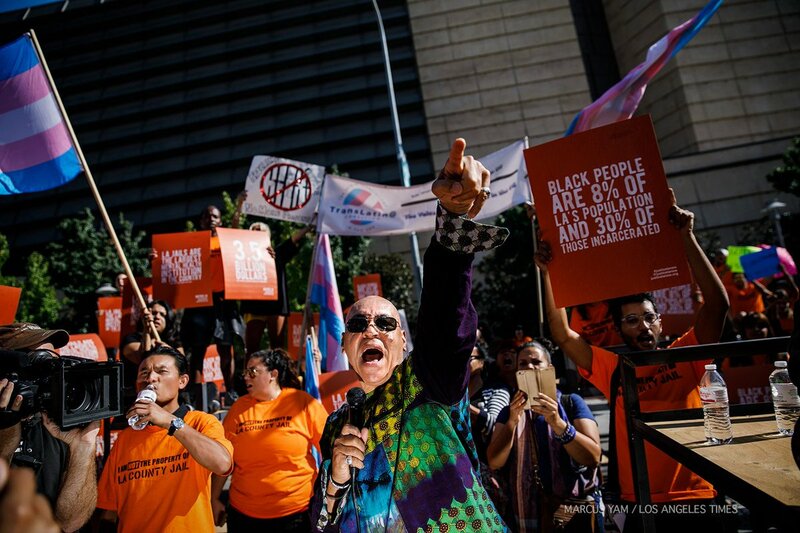 During the protest, the submitted a motion to the county's board of supervisors asking for the board to place the expansion plan on hold until the effects of the new criminal justice reforms are clear.